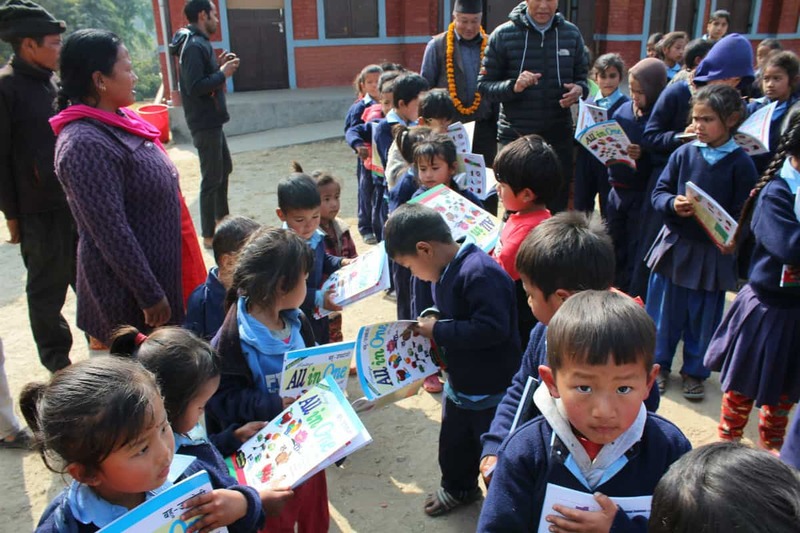 To maximise the effect of the funds collected by CHANCE for NEPAL, the charity works closely with a family of carefully selected organisations working on the ground in Nepal. These organisations guarantee that CHANCE’s donations reach those who most need it – and they also provide feedback and recommend follow-up action too. Christened ‘the ears and eyes of CHANCE for NEPAL’ by CHANCE’s founder Barbara Datson, SHENPEN was founded in 2004 by Chokyi Nyima Rinpoche so that ‘All poor and disadvantaged people of Nepal enjoy good health and a sound education and financial security and are able to meet their full human and spiritual needs.’ A volunteer-based, non profit organisation aimed at alleviating poverty, SHENPEN is run by Westerners who live and work in Nepal. WEGAIN ZONE is an eco-friendly site built mostly using mud, bamboo, bottles and tyres. WEGAIN ZONE provides living space to former streetchildren and trains them in a skill so that they can sustain themselves in future. They also successfully lobbied to get the sale of adhesive glue to under 18s banned. They work with the street children in the Boudhanath area of Kathmandu and take children found on the streets to different organisations in the Kathmandu Valley. They are also at the forefront of campaigning and raising awareness of the dangers of burning toxic plastic and throwing garbage on the streets. 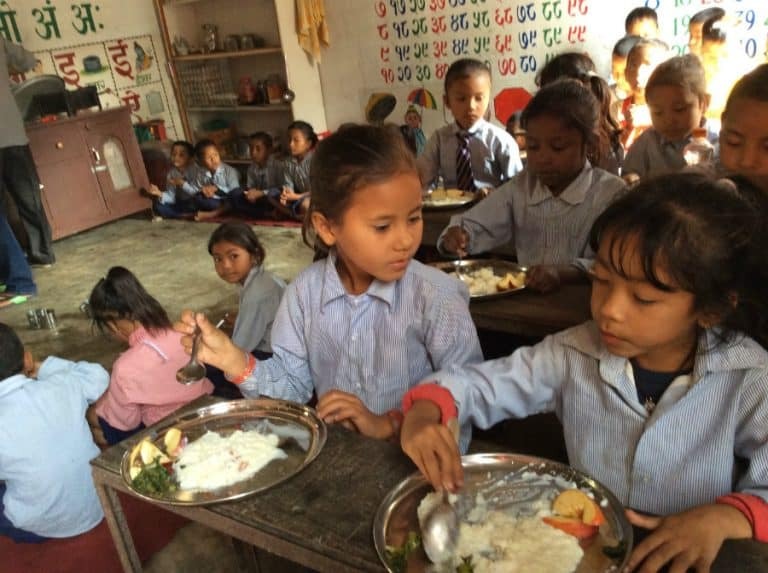 WEGAIN ZONE is a Vegan centre and a peaceful sanctuary offering shelter to street children in Nepal. WEGAIN aims to prevent inevitable abuse and exploitation of homeless children living on the edges of society. In October 2016 WEGAIN successfuly campaigned at Government level to ban the sale of glue (solvent abuse) to children under 18. 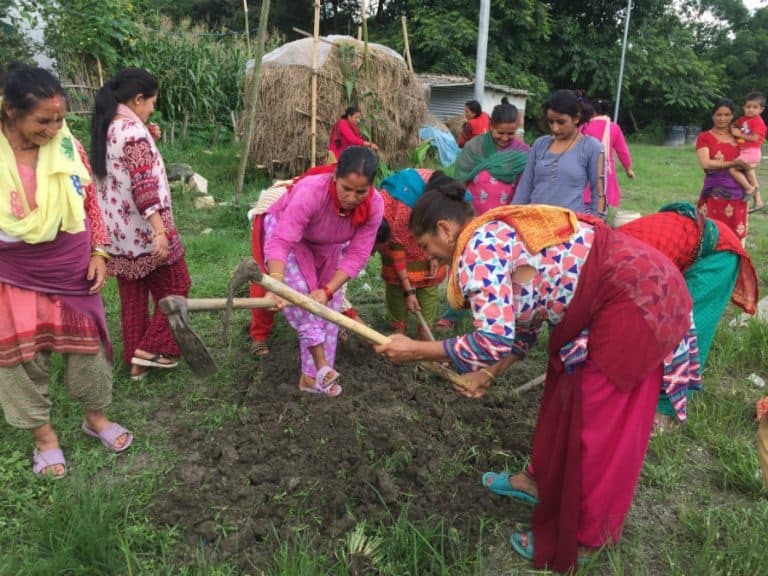 A registered non-profit organisation, NGO GMIN supports and initiates grassroot movements focussed on bringing sustainable, social and environmental change in Nepal. 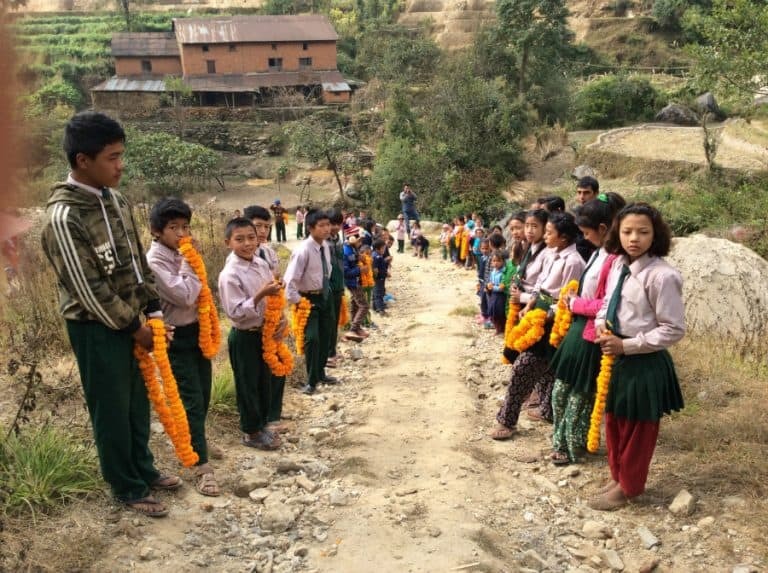 They build shelters, homes, schools and health posts in remote districts in Nepal. 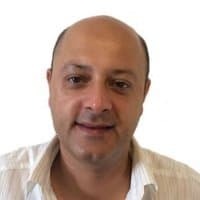 Mountain Heart Nepal (MHN) founded by Dr Aban Gautam has been operating since the devastating earthquake of April 25, 2015. Their mission was to initially provide medical treatment to the victims of the earthquake and provide accessible healthcare to areas where it has previously been inaccessible. Now, after two years their focus has changed in order to promote and create a more self-sustainable health practice. By constructing clinics in remote mountain areas of Nepal and sponsoring both medical and surgical treatment as well as education for under privileged children living in remote areas; MHN aims to lay the foundations for accessible healthcare in the remote mountain regions of Nepal. Each year in Nepal, over 25,000 stray dogs wander the streets of the Kathmandu Valley, approximately 16,000 people are treated for dog bites and as many as 200 – mainly children – die an excruciatingly painful death from rabies. 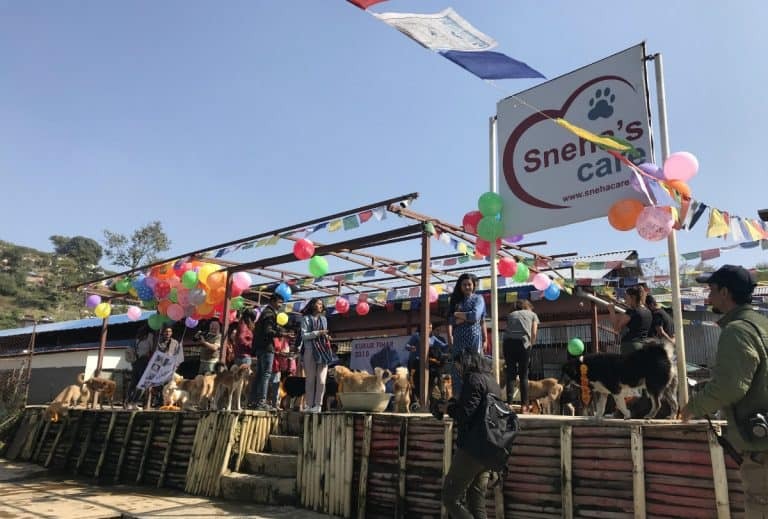 Over 1000 rabies vaccinations for stray dogs are carried out annually in Kathmandu Valley organised by Street Dog Care with volunteers and veterinary practitioners. Established in 2008, Burns Violence Survivors Nepal (BVS Nepal) is a not for profit non-governmental organisation. At The Kanti Children’s Hospital, The Teaching Hospital and The Trauma Hospital BVS-Nepal helps and supports survivors of burns, resulting from accidents, or violence. Under the Triple Gem Educational Foundation, Triple Gem School was founded in 2000 at Swoyambhu, Kathmandu – a World Heritage site. There are 450 students under founder Principal Rev Kondan R Lama. The chief aim of the school is to provide the ethical, mental, intellectual and spiritual growth and enlightenment of the children so that they may eventually become responsible and respected citizens of the world. The school takes pupils from age 4 (nursery) up to 16 (grade 10) after which they leave the school and go to college or do vocational courses. Triple Gem has an excellent academic record with 100% of children passing their School Leaving Certificate (SLC). The school is open to all with no discrimination among cast and creed. Papa’s Home was founded by Lalit Shili. There are 24 children at the home aged from 5 to 17 who are either orphaned, street children or in need of a safe and caring environment. The children go to school and are happy and well adjusted. Raissa monitors our Educational Programme. This involves visiting the Triple Gem School, Pegasus English School and ShangriLa School, where we have students with English sponsors. Raissa checks on the wellbeing of the students and takes a short video clip of each student once a year to send to their sponsors. She also organises a twice yearly letter from each student to their sponsors. Raissa has built up a good relationship with students over many years, thus can discuss any issues they may be struggling with. Once the student has taken their SLC (School Leaving Certificate), she opens up the various career options with them and negotiates the fees with the respective colleges. After college, (6th form) if the student wishes, she looks at the possibilities of further study including Bachelor degree courses. Raissa gives detailed reports at each stage of the student’s education with regular updates in between. Pegasus English School was founded in 1999 by Mr Kinley D Lama. There are 450 pupils. The school is a 10-minute walk from the World Heritage site, Boudhanath Stupa, Kathmandu. Any child can be admitted irrespective of age, caste, creed, colour or religion. is the Project Coordinator of Shenpen (our partner on the ground). 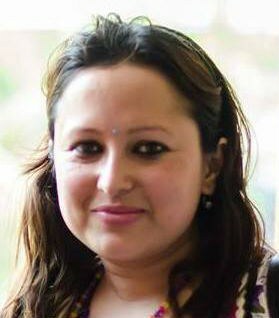 Anamika monitors our joint projects in: Skills Training – Street Dog Care (rabies vaccinations) – ‘Tiffin’ meal programme – ‘Goody Bags’ for the Kanti Children’s Hospital. She sends me regular reports with photographs for each project. 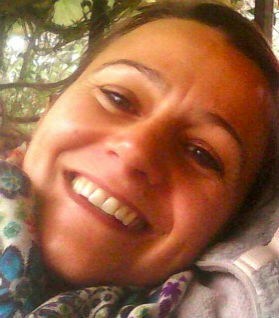 Melanie Letourneau, is the director of Shenpen Programmes. We have monthly SKYPE meetings to discuss our joint projects and to look at new ones. CHANCE has been supporting SHENPEN since 2005. 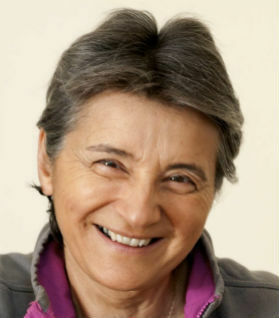 Sue Willis is Editorial Researcher and Proof Reader for Phoenix Features, ‘the Real Life story agency’. A keen supporter of CHANCE since its launch in 2006, Sue volunteers as editor and proof reader. If you would like to make a donation to Chance for Nepal simply click below to view the different donation options available.